I am melting as I type these words. It's 35degC here in Manila but feels like 40degC! Add 3 degrees Celsius more to our current temperature and it's officially a fever! I asked the kids where they want to go to get some frozen treats and they both decided on Pinkberry. Alright, Pinkberry it is! 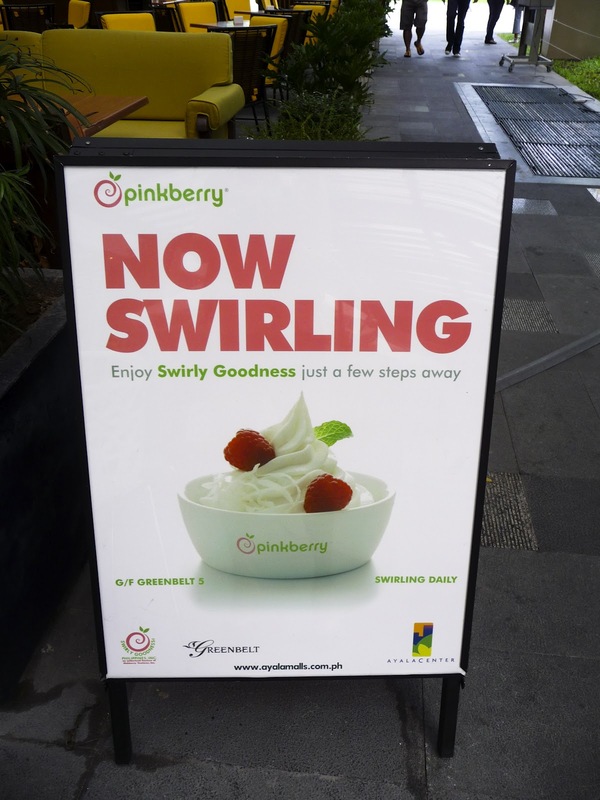 Pinkberry has been a favorite of ours for years. Our trip to the States is never complete without visiting a couple of their shops. Their "signature tang" hits the taste buds in all the right ways. I like that theirs is not too sour. Just right. My husband still thinks that it is too sour for his liking though. Well, he's not fond of frozen yogurts to begin with. He likes things sweet, sweeter, and sweetest! Diabetes alert! 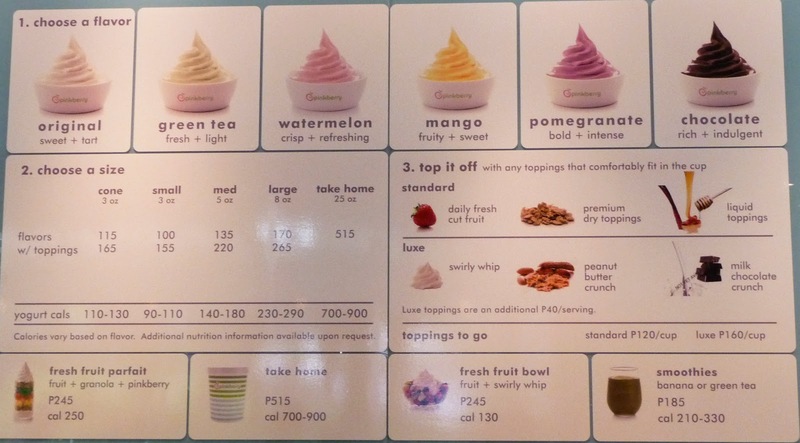 Frozen yogurt is all the rage right now in Manila. 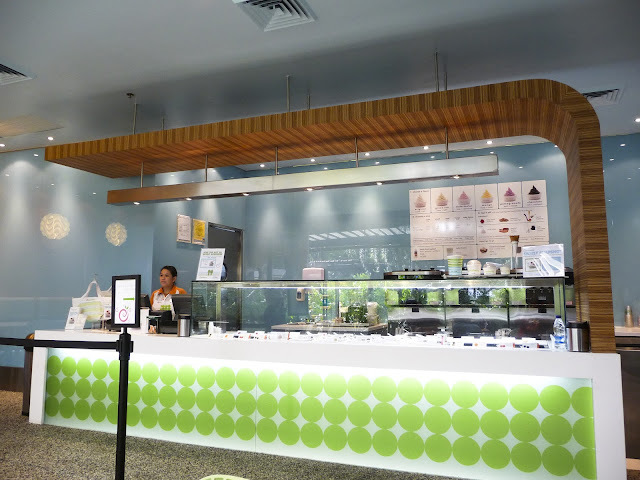 There are numerous frozen yogurt shops that have been popping out like mushrooms as of late. 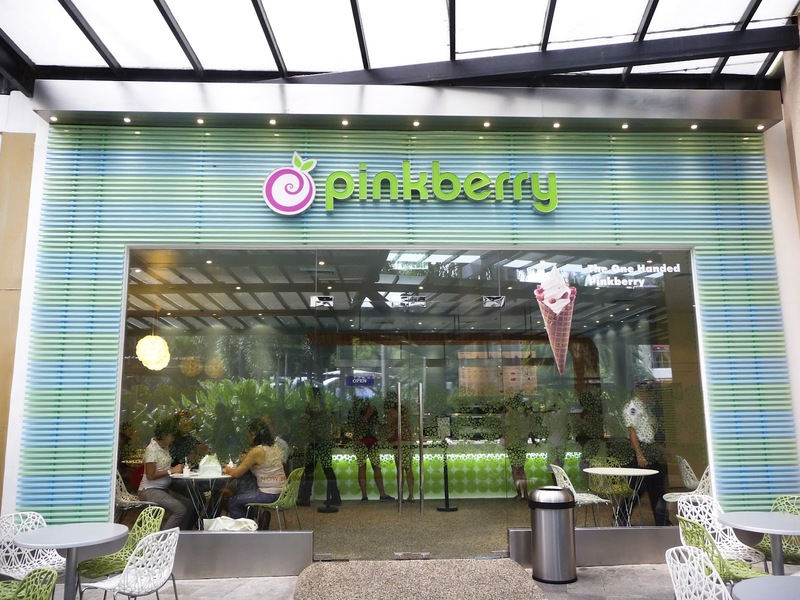 Some local and others are foreign franchises. Out of all these frozen yogurt brands in this city, my boys, J6 and J7, and I believe (with conviction) that Pinkberry tops the list and remains the best! We have tried them all! We have become frequent customers at this Greenbelt 5 branch ever since it opened last December. 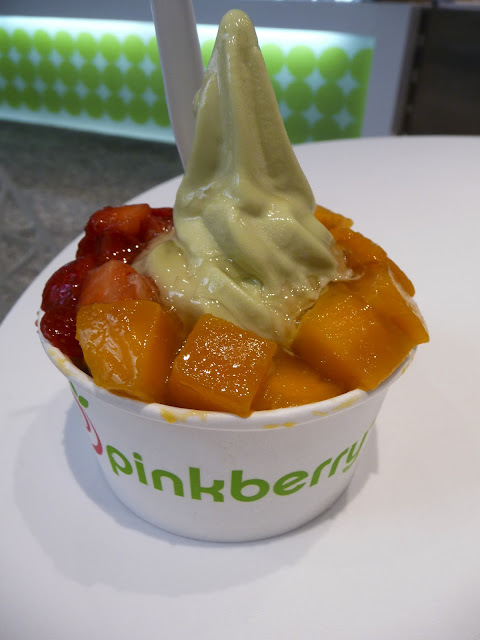 They give out Pinkberry frequent guest stamp card. 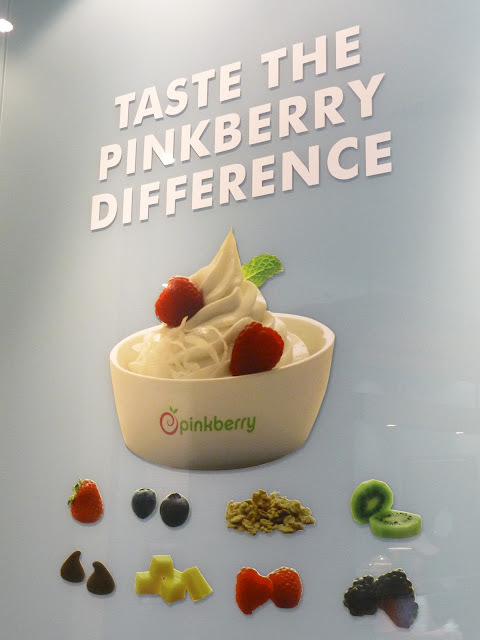 You get one stamp each for every purchase of Pinkberry frozen yogurt product of any size. 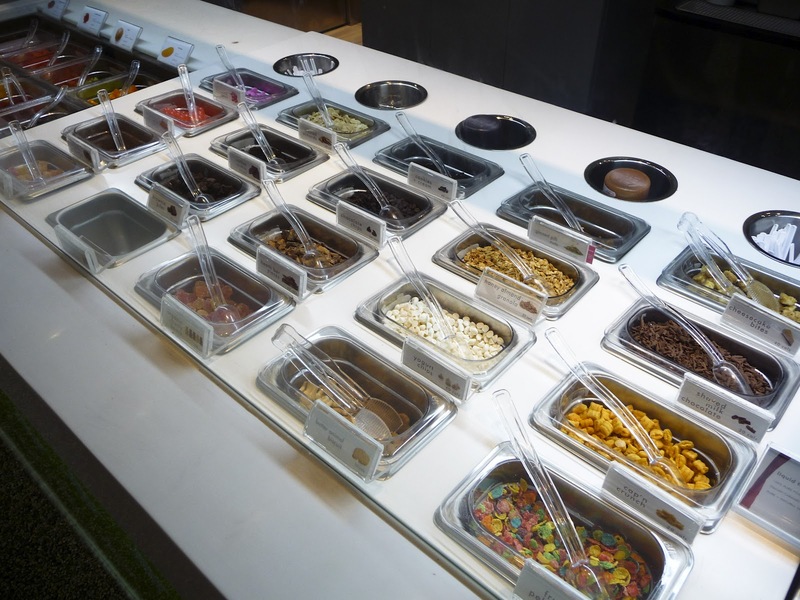 Once you complete all 10 stamps, you'll get one FREE small yogurt with your choice of toppings! We're on our third card already. 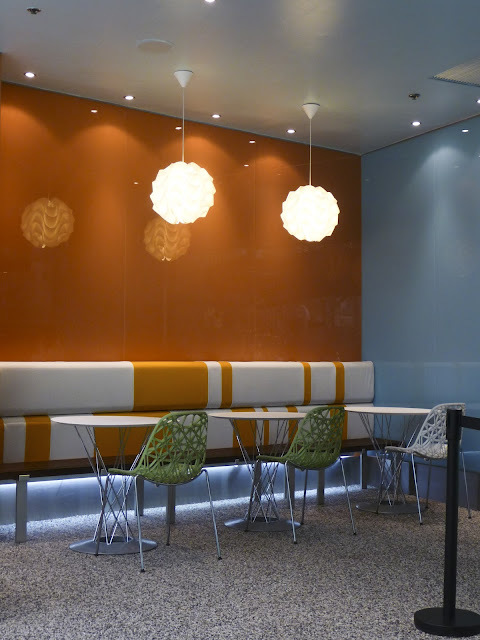 The Tiffany blue shade painted walls gives a feeling of cleanliness and coolness. Perfect for a frozen yogurt place! Subtle and soothing interiors. I particularly like those Poul Christiansen-wave-design-pendant like lights. Phew! That was a mouthful! Again, with feelings please...Poul Christiansen-wave-design-pendant like lights. 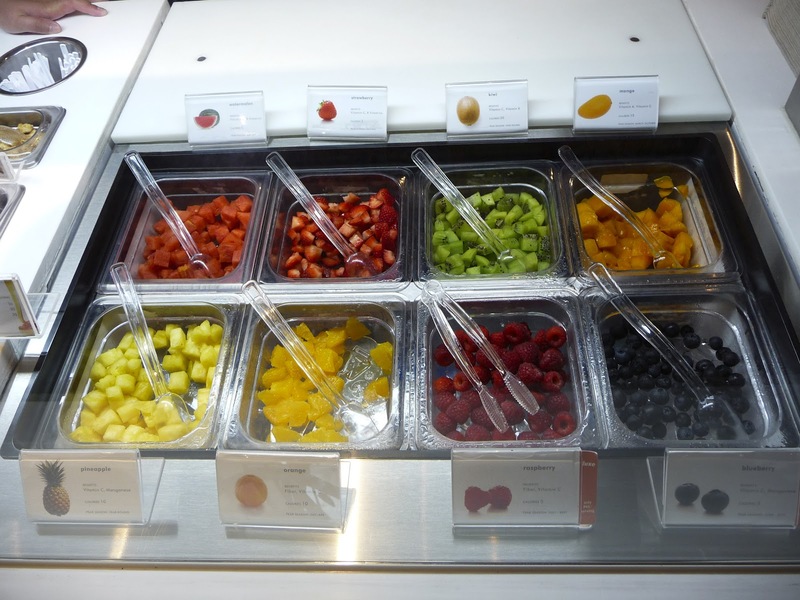 Choices of fresh fruit toppings abound! There's an extra pay if you choose the raspberries and blueberries. They currently have 6 flavors to choose from. J6 is always torn between pomegranate and watermelon while J7 sticks to the original. For those who prefer a cone, they have it too at 3 oz. 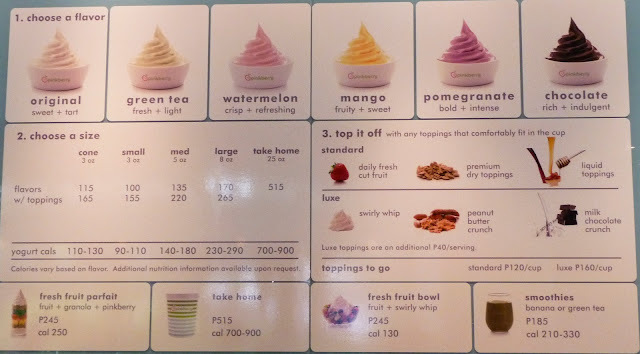 For the can't-get-enough-of-this-darn-yogurt person like yours truly, they have a 25 oz. 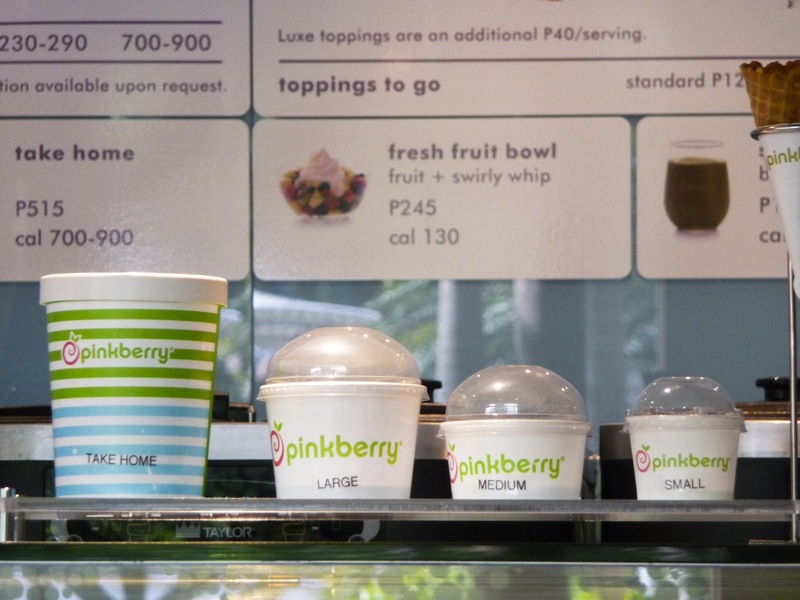 take home container for PhP 515. My pick for the day: Green tea with fresh strawberries, mangoes, and oh-so crunchy-almonds topped with lots of sweet and deliciously rich honey! Perfect! Oh, another great plus is that the staff are friendly and will take time out in answering questions. Their restroom is also very clean and smells good too. That last one is a personal thing. I have a thing for restrooms. Wait, don't we all? !